Home » ENTERTAINMENT , INSPIRATION » "The Power Of Expressive Love"
"The Power Of Expressive Love"
"So she became his wife, and he loved her" (Genesis 24:67b). "One day Abimelech, the king of the Philistines, looked down from a window. He saw Isaac hugging and kissing his wife Rebekah" (Genesis 26:8). "Husbands love your wives" (Ephesians 5:25). We viewed a testimonial video of a restored marriage that touched our hearts, "What Happened When My Daughter Saw Me Kiss My Wife" by Joshua Rogers (link below). Essentially it reminds us how children feel loved when their parents express love to each other. I (Stephen) remember that. My parents were not that expressive in their love, perhaps like many in their generation. Dad always kissed Mom when he went to work but otherwise they were rather guarded regarding physical affection. But I still recall one time when we were in a cabin on a vacation and they didn't share the same bed. (They slept in the same full-size bed for all 53 years of their marriage - not a queen or king, which would surely have been more comfortable since my Dad was a big man). Instead in the cabin they were in two twin beds about a foot apart. I woke up in the night and saw them reaching across the space holding hands as they slept. That did make me feel loved! Today's daily text is the first occasion in the Bible where we are specifically told of a husband's love for his wife Rebekah, "So she became his wife, and he loved her". Genesis 24 is a lengthy account of Isaac's arranged marriage, facilitated by Abraham's chief servant. Theirs was love at first sight and is demonstrated when he prays for her on the occasion of her barrenness (Genesis 25:21). Later, after their twins (Esau and Jacob) were born we find the two caught in a passionate embrace (Genesis 26:8). Still later we find the old couple agonizing over decisions their children had made (Genesis 26:35, 27:46). Sound like your marriage? Or your family? Yet their love endured. 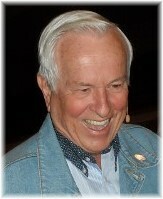 Some twenty years ago we heard Josh McDowell speak at a marriage conference in Boston. He encouraged us to authenticate our faith by modeling lasting relationships, particularly in our marriages. A great witness for Christ is marriages and families that function well and endure. We encourage you to again commit yourselves to this goal. The apostle Paul said, "Husbands, love your wives". The world is watching for demonstrations of this love in the public square and in the home. We still marvel at marital love and I hope we always will. Of course the institution of marriage is under severe attack in our time on many fronts. How vital to again consider a simple command of Scripture, "Husbands, love your wives." The underlying Greek word for love is that wonderful word "AGAPE", which is in the present active, calling for continual, habitual action. Let us again remember God's call to marital love. Gary Chapman shares these five essential characteristics of a healthy marriage in his book, "The Five Love Languages." Please apply! Now with forty-one years of marital experience Brooksyne and I will add several more. Tease each other, have fun, and practice forgiveness daily. If you ever find yourself driving through a covered bridge, brake the car so you can share a kiss!